An era ended last weekend and it was not an April Fools joke. Exactly 25 years after purchasing a condemned flop house Walter Keller signed the papers closing the sale of The Lumber Baron Mystery Mansion. It was in both cases April Fools Day. Ace Gunner has money to burn. After originally purchasing The Lumber Baron Walter spent 3 years restoring it to it’s original Queen Anne era splendor. The Lumber Baron operated for many years as a luxury Bed and Breakfast/ wedding and event center. Murder mystery dinners were added later and Walter opened and built The Adams Mystery Playhouse on Federal. After Walter and his business partner parted ways he was left with a decision to make. He and his wife Julie decided to add Murder Mysteries back to the menu. The Lumber Baron Inn and Gardens was rebranded as the Lumber Baron Mystery Mansion. This is where I come in. 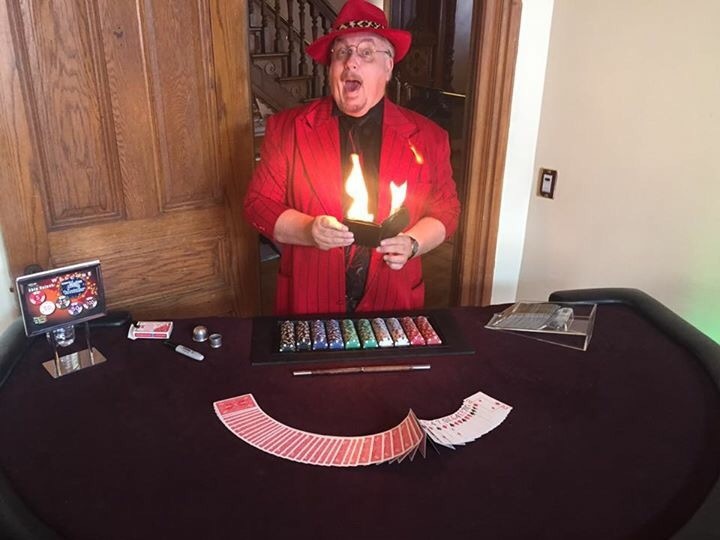 About 6 years ago Walter approached me about bringing magic to the mansion. I wanted to create a nightclub type show but after discussion it was agreed that it might be best to work within a format already familiar to Lumber Baron audiences. Thus The Vanishing Act was Born. Eventually I was added to the company of performers. I’ve benefitted in many ways from my time at The Lumber Baron. First the life of a magician can be very isolated. Working with a company of actors filled in a gap of working in a collaborative effort. It also allowed me to develop new characters and approaches to my magic. I improved exponentially at interacting with other performers and learned more about being in the moment. I also developed new magic routines for my show. I share these in my lecture for magicians. Most of all I made lifelong friends. In addition to this I eventually did run a nightclub show I called The MagiCabaret. My thought was to spotlight a variety of local performers but I was lucky enough to draw a few national headliners into my show. Doc Eason, Daryl Easton and Mark Strivings all shared the stage with me. Other notable performers include Eddie Goldstein, Steve Aldrich, Doc Murdoch, Matt Brandt, Don Z and Shawn Preston. After a conflict of interest with another show I decided to suspend the cabaret show but I am still seeking a new venue in which to re-open. 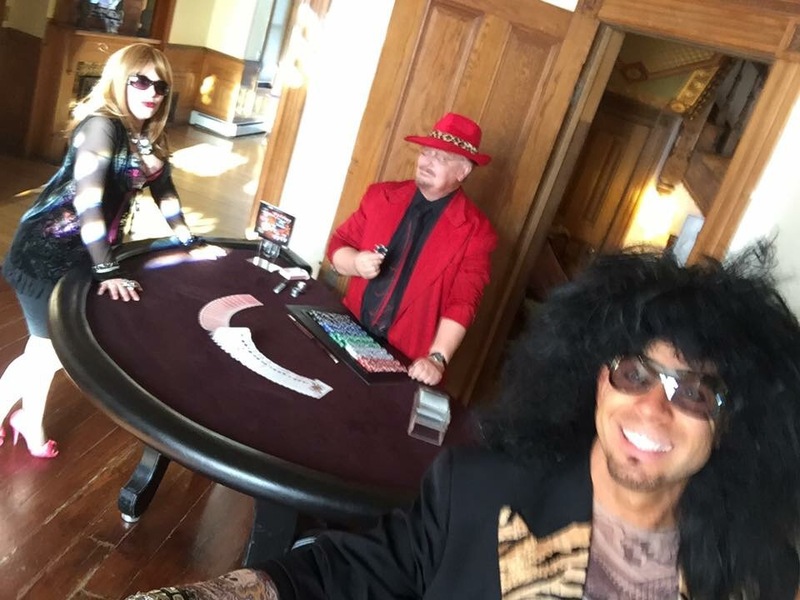 I along with Connie Elstun also turned the Mile High Magicians annual closeup show a paid event in a special setting. We titled the show Magic Monday Madness. It was a great success. The only downside was it opened the door for a few performers to muscle in on my territory. One of the risks of working with hobbyists. None of the professionals were guilty of this and I survived the onslaught. As if this wasn’t enough Joe Givan, Carol Massie-Givan, Doc Eason, Doc Murdoch, Eddie Goldstein and Connie Elstun all participated in The Vanishing Act. 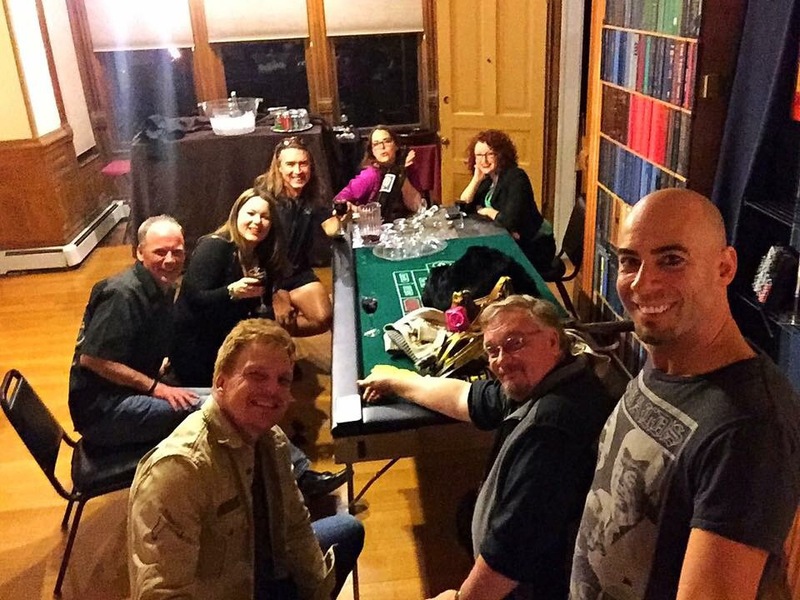 I’d say my goal of bringing magic to The Lunber Baron was mission accomplished. Two years ago Walter announced that, for reasons I will not go into hear, he was putting The Lumber Baron up for sale. Frankly it has been a black cloud hanging over my head which when combined with the end of my part time teaching job signals a new phase in my life. For now there are no mystery shows on my schedule. Walter has once again rebranded the mysteries as Casino Murder Mysteries. The new owners of The Lumber Baron have expressed an interest in continuing the dinner theater. But until something is worked out or a new venue is found I am moving forward. The Amazing Dave Elstun is a pleasure to work with! His crowd interaction always seems so natural, but he is also able to build a reliable and repeatable performance within the “theater” of it all. This allows other performers to create a show with him that has continuity, and excellent scripted moments- while always feeling live and improvised. Combining his passion for magic and his ability to work with a cast of actors, he has developed new and exciting skills! Looking forward to seeing him in some leading roles very soon! Thanks Trevor. It is a definite pleasure to work with a pro like yourself. I am looking forward to seeing what the future has in store for us!